Item # 301791 Stash Points: 1,999 (?) This is the number of points you get in The Zumiez Stash for purchasing this item. Stash points are redeemable for exclusive rewards only available to Zumiez Stash members. To redeem your points check out the rewards catalog on thestash.zumiez.com. Keep your headwear on point in the Uniform Light Brown Beanie from Coal. Coming in a versitile brown colorway, the Uniform beanie is a solid choice for adding some warmth to your cold weather looks. With 100% acrylic constrcution and a woven Coal brand tag on the foldover cuff, this simple beanie is sure to become your winter go-to. 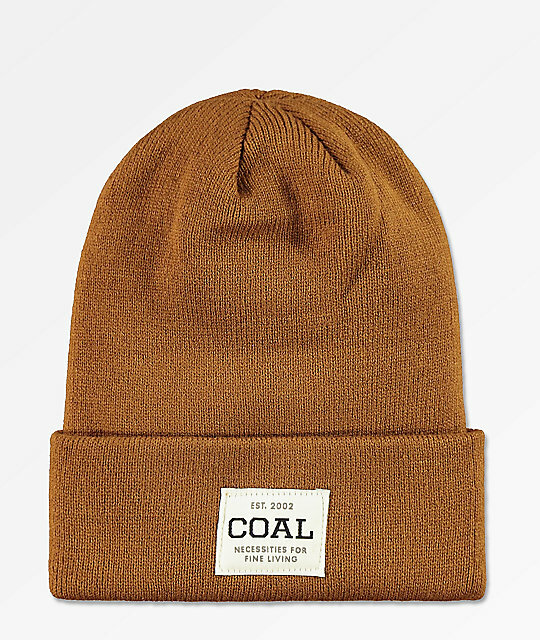 Uniform Light Brown Beanie from Coal. Brand patch on the fold-over cuff.